Sure, it's made up entirely of pre-rendered footage, but the brand new trailer for The Technomancer released for E3 2016 is pretty darn cool. Publisher Focus Home Interactive sent along the trailer you see at the head of this post, and they also included what I think is one of the best descriptions of what, exactly, a Technomancer is. 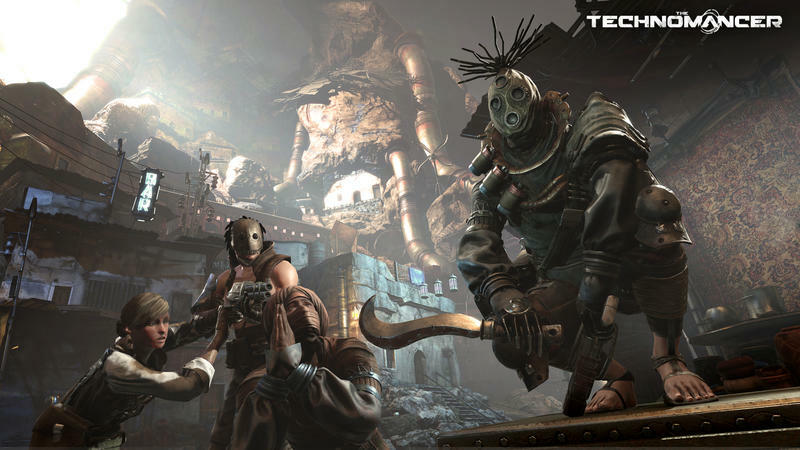 Here you play as a Technomancer – a formidable warrior harnessing destructive electrical powers. Travel with your companions, choosing between diplomacy, combat, or trickery to resolve quests. Gain experience to level up your character, and learn new skills or upgrade perks across 4 unique skill trees. Loot, buy, and craft more powerful equipment and weaponry for yourself and teammates to stand a chance of surviving! Only you can forge the destiny of Mars. An action RPG set on Mars during the War of Water, complete with bizarre and horrific beasts? Sounds good to me. While it'll be at E3, Technomancer's official release is right around the corner. The game is set to drop for the PC, PlayStation 4 and Xbox One on June 28, 2016.